Ultra Violet is the 2018 PANTONE Color of the Year and we can’t help but think about the variety of ways brides can incorporate this vibrant hue into their weddings! PANTONE describes Ultra Violet as inventive and imaginative. We can’t think of a better color for the unique bride who seeks nonconformity and a one-of-a-kind wedding. From attire to decor, we have rounded up our favorite ways to incorporate Ultra Violet in your wedding celebration. Ultra Violet wedding shoes? We vote yes! Bridal heels and flats are ideal choices to add a pop of color. These dramatic purple peep toes with satin bows will add flair to any bride’s look. And don’t forget your pinkies! The PANTONE Color of the Year will look great on your perfectly pedicured toes! The best part about candy bars is you can cater them to your color of choice, namely, Ultra Violet! 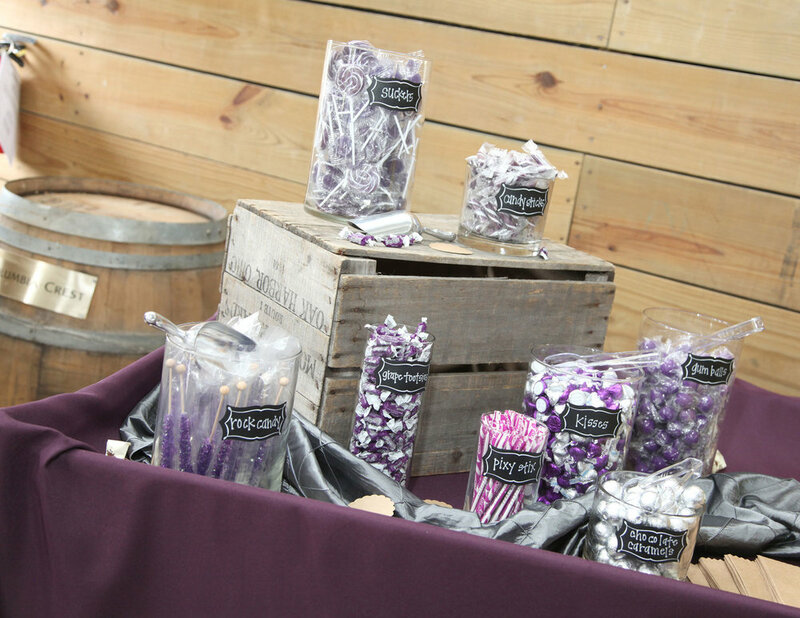 We love this assortment of colorful confections swathed in purple displayed with rustic touches like an overturned wooden crate and adorable chalkboard style labels. Purple-colored candies and wrappers make this one monochromatic marvel. 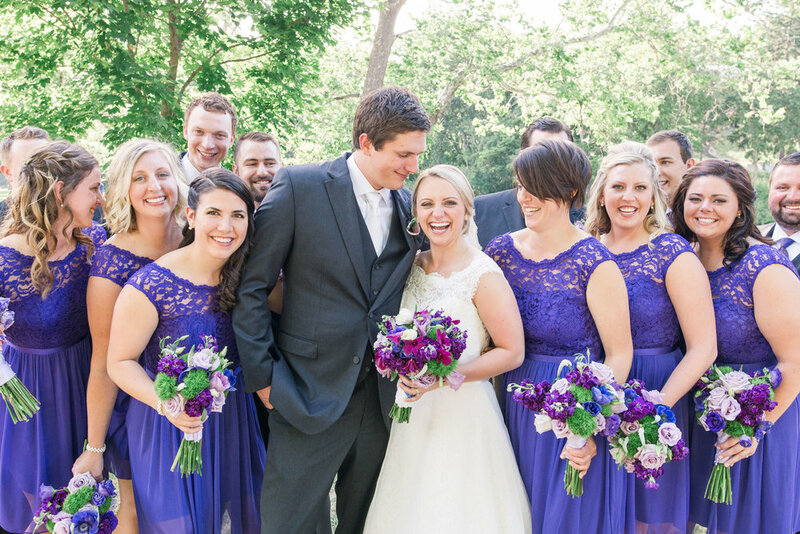 Bridesmaids gowns, whether in matching or complementary tones of violet, are the perfect place to incorporate this vibrant purple hue in your wedding. Violet makes a stunning statement in both short and long dresses and is made even bolder with a corresponding purple bouquet. If you’re looking for a subtle way to incorporate Ultra Violet in your wedding, consider adding this tint to your wedding paper goods or an “all in fun” custom guest book! The violet globe and corresponding purple pen make the perfect pair for guests to leave their names and well wishes, a treasure that this couple is sure to cherish for a lifetime. Bold bridal bouquets with vibrant florals are one of our favorite ways to incorporate Ultra Violet hues into a wedding. Stunning when mixed with other purple tones like plum, amethyst, lavender, plenty of textural greenery only adds to the drama. 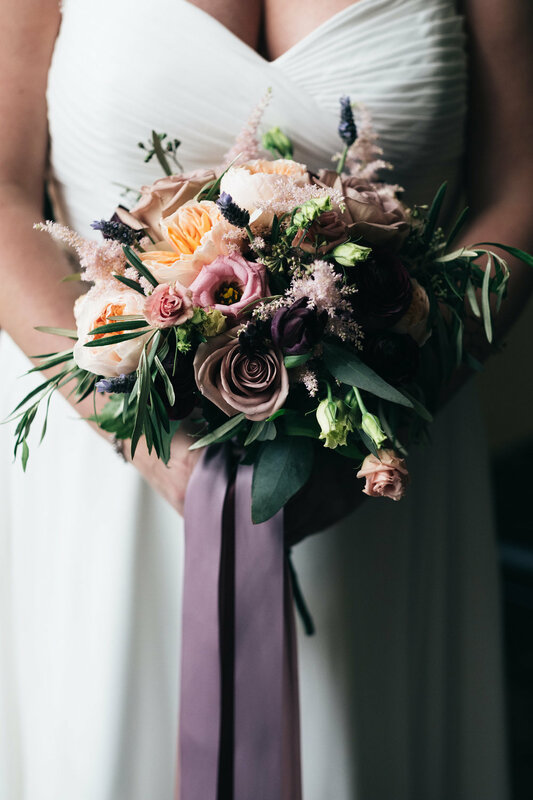 Ultra Violet flowers are also beautiful as a stand-alone pop of color in an otherwise neutral bouquet accented with a violet ribbon wrap. When it comes to cake and desserts, purple is best served in light touches. 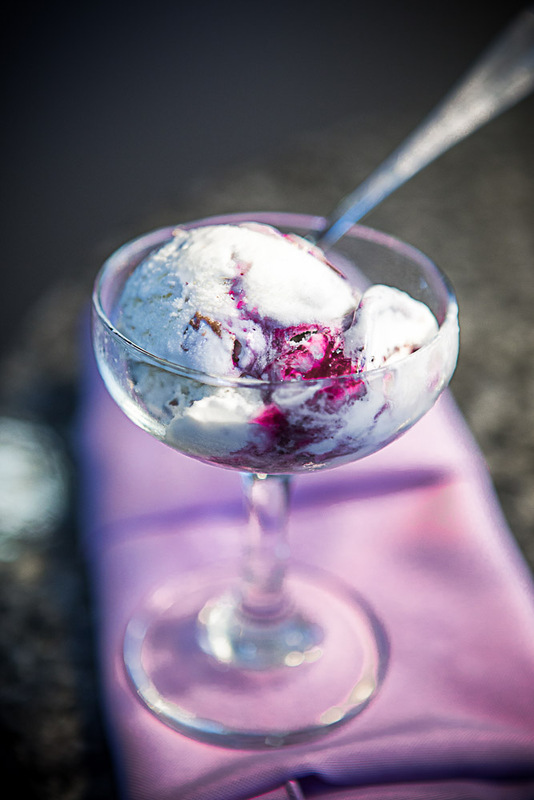 Which is why we are drooling over this gorgeous ice cream, an absolutely decadent dessert swirled with Ultra Violet and served with a matching napkin. Edible flowers arrayed on your wedding cake and desserts are yet another way to add violet to your celebration. Whether you consider yourself a bold bride with a penchant for punchy colors, or someone who opts for more neutral color schemes, there are countless ways for brides of all kinds to find room for Ultra Violet in their wedding festivities.